Beautiful dragonfly ring. Dragonfly is studded with Swarovski crystals. Dragonfly measures 5cm/50mm wingspan. Adjustable size. 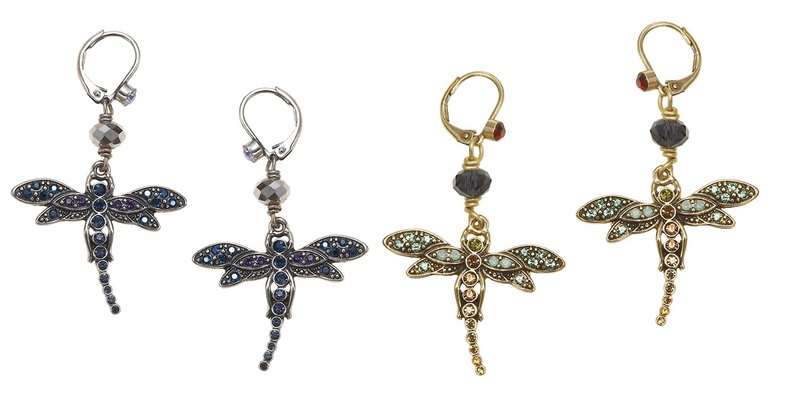 Beautiful dragonfly earrings. French clasp for pierced ears. Studded with Swarovski crystals. Dragonfly measures 2.8cm/28mm wingspan. 5cm/50mm total length. Gorgeous bee stud earrings. Pierced ears. Studded with Swarovski crystals and carefully enamelled. They measure 1.5cm/15mm. Delightful hinged cuff bracelet. Features various flower, dragonfly and insect motifs. Beautifully made item. It measures 4.5cm/45mm wide. Diameter 6.5cm/65mm. Beautifully detailed bracelet. It measures 7.5 inches/19cm and fastens with an 'o' toggle. 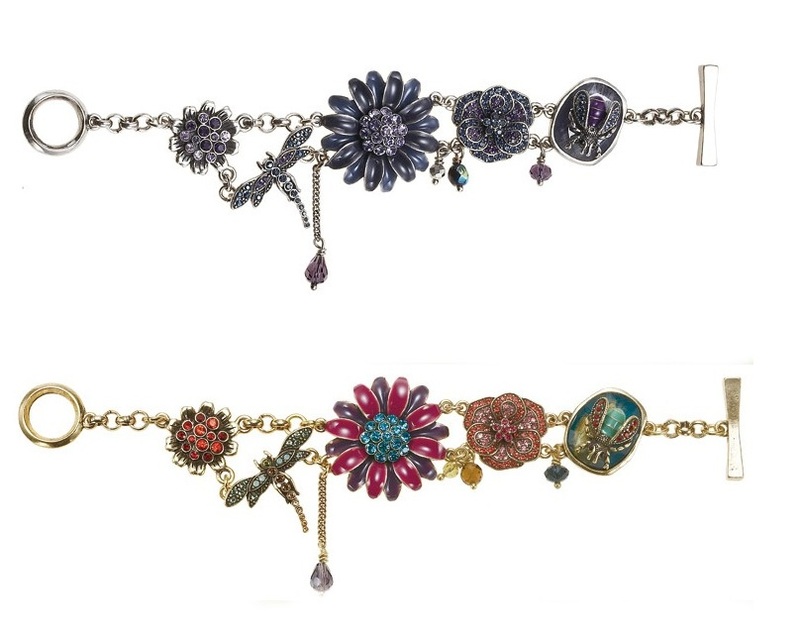 Various detailed charms include: Swarovski crystal studded flowers, dragonfly and bee. The largest motif an enamelled flower measures 3cm/30mm.